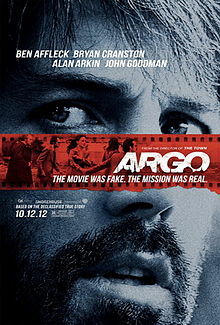 With a plot so outrageous it seems it could only be fabricated by Hollywood, “Argo” tells the crazy-but-true story of a CIA mission to rescue six US embassy employees during the Iran hostage crisis using the unlikely cover of a sci-fi film crew from Canada shooting their next big blockbuster in the tumultuous city of Tehran. In his third directorial effort, Academy Award-winner Ben Affleck delivers a factually accurate and surprisingly funny period piece that draws parallels to today’s turmoil in the sphere of foreign relations and America’s rough relationship with the Middle East. Similar to recent portrayals of the tension between America and Iran in the mainstream media, “Argo” paints the picture of hostile Iranians, hanging their people from cranes and patrolling the streets with machine guns. But unlike the overall American nationalist mainstream media, Affleck provides a strong background to explain why the Iranians were compelled to act violently following decades of US-sponsored dictatorship under the Shah. The use of actual photos and videos from the era gives the film a strong sense of credibility that was only furthered when seeing the uncanny resemblance of the actual people involved next to their respective actor during the ending credits, proving that casting was spot on. Despite the star-studded cast with bigwigs like John Goodman, Victor Garber and Alan Arkin, the Oscar-worthy performances delivered by all of the actors causes you to forget their larger-than-life personas and truly experience all of the excitement and danger that the real characters faced just over 40 years ago. Switching between Washington D.C., Hollywood and Iran, Affleck involves the audience in all aspects of the mission and brings you to the edge of your seat when complications arise and communication between the central players begins to falter. As Tony Mendez, the brains of the whole operation, Affleck reveals the importance of working as a team to bring the Americans safely home. It’s the sense of working together that really made the mission, as well as the movie, work and it was felt in the theater when everyone clapped to celebrate the victory as the hostages took off to safety and the Hollywood producers and officers back in Washington got confirmation that they were cleared.